Tracking the pulse of markets. How one lean dev team improved their UX, UI and doubled their output with Ionic. 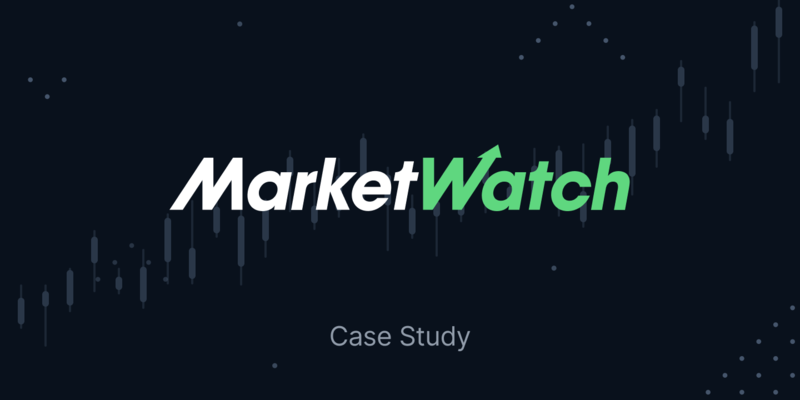 MarketWatch tracks the pulse of markets for engaged investors with more than 16 million visitors per month. Over 300K active mobile users rely upon MarketWatch mobile apps for timely financial news. Delivery of financial alerts at speed is important for users making investment decisions, and a consistent user experience across mobile platforms is critical for user satisfaction and the MarketWatch brand. The MarketWatch team wanted to extend service to both iOS and Android platforms. Working in native environments for four different devices (including phones and tablets) was not an option. The challenge was how to deliver – and support – four dynamic applications with limited development resources. Integrating third party functionality and enforcing consistency across the user experience required 4X the development effort. “Building and maintaining each of these apps natively was just a non-starter for us.” Brian Aguilar, Product Manager. The team wanted to lean on their extensive web technology experience and not ‘re-invent the wheel’ for multiple platforms. After evaluating a solution from Xamarin, the team chose the open source Ionic Framework. Now they write the app once and reach users on both mobile platforms. “Ionic is a no-brainer for us. The experience has been really solid, both from the user perspective but also from an internal and technology perspective." There’s no way we would have had the equivalent of four apps with two developers, without Ionic. They reuse a lot of the design HTML and CSS done for the responsive website. In fact they found it easy to move back and forth. After introducing a new quote page within the app they revamped the quote page on the site along the same lines. With Ionic they found 95% of the style code can be shared between the iOS and Android apps. Differences like tabs for iOS and Android are taken care of automatically within the Ionic templates. Extended functionality was added via native plugins, including Omniture, Facebook, Twitter, and Urban Airship. Other plugins accelerate their app deployment and make for a consistent, cross platform user experience. Moving to Ionic has allowed the team to leverage familiar technology. They develop one code base to support multiple platforms. Resources can be shifted to address other priorities. With Ionic’s pre-built components and easy to use plugins they can enhance both apps quickly, without having to replicate integration work. The team found 95% of the style code can be shared. And Ionic templates take care of a lot of the rest. Look and feel can be maintained across platforms leveraging the HTML and CSS work already done for the website. They also have greater flexibility to enhance functionality with easy to use plugins. The MarketWatch app is available on both the Apple App Store and Google Play Store.